Tropicana Motel in Wildwood Prom House Rules. At least one individual in each room must be 18 years of age or older - all guests are required to have id and sign the registration card. Persons under the age of 21 years are strictly forbidden to possess or consume alcoholic beverages anywhere on the premises (NJ State Law 20:33:15). In the event an occupant of any room is 21 years of age or older, that individual must agree not to possess alcohol in rooms occupied by minors. Security deposit is held until departure to safeguard against damage to rooms. It will be refunded upon departure after inspection to room. In the event that there is damage to any room, the cost of repairs will be deducted from the security deposit. 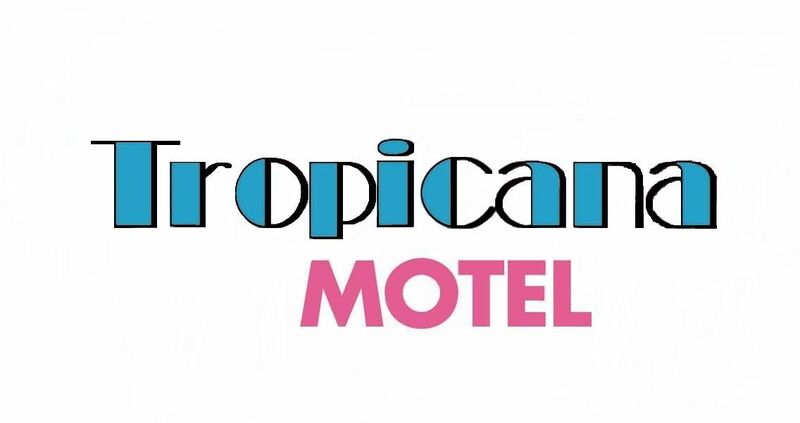 The occupants agree to reimburse the Tropicana Motel for the full cost of damage. Be aware that the full cost of any damage may include full replacement of a damaged item, whether or not it can be repaired should management deem that the item no longer meets their cosmetic standards for motel use. Only registered guests are allowed in rooms or anywhere on the property. Visitors are not permitted. Registered guests will be required to wear wristbands at all times. Violation of these rules can result in eviction and forfeiture of all monies paid, including security deposit. All cancellations are subject to a 100% administration fee of any payments made to hold your room. ID IS REQUIRED FOR REGISTRATION. ONCE CHECKED-IN NO MONIES CAN BE RETURNED OR REFUNDED (EXCEPT THE SECURITY DEPOSIT PROVIDED THERE IS NO DAMAGE OR LOSS) FOR EARLY DEPARTURE /CHECK-OUT DUE TO YOUR CHANGE OF PLANS. UPON REGISTRATION ALL OCCUPANTS MUST RECORD THEIR NAMES & PHONE NUMBERS. MANAGEMENT MAY ISSUE SPECIFIC WRISTBANDS WHEN DEEM NECESSARY. THEY MUST BE WORN BY ALL OCCUPANTS ON THEIR WRIST AS A FORM OF ID DURING THEIR STAY AT THIS MOTEL. LOST WRISTBANDS SHALL NOT BE REPLACED. ANY PERSON WITHOUT OUR SPECIFIC WRISTBAND SHALL NOT BE PERMITTED ON THE MOTEL PREMISES. NO COOKING, SPORTS, HORSEPLAY, PETS, OR SUBLETTING OF MOTEL PREMISES IS PERMITTED. ALL ROOMS ARE NON SMOKING. SMOKING IS PERMITTED OUTSIDE IN DESIGNATED AREAS. THE SECURITY DEPOSIT IS FORFEITED IF YOU SMOKE IN THE ROOM. Add 13.625 tax plus a refundable security deposit on each room. Rate schedule reflects occupancy for 4 persons. Additional persons will be charged extra. (minimum night stay required on weekends) Please note that rates are based on availability and are subject to change without notice.